At the end of the “Monster Talk” podcast they always ask the guest “What is your favorite monster?” While the “Monster Talk” crew keep forgetting to call me for my interview, when they do call I’ll have my answer ready. My favorite monster is Nessie, the Loch Ness monster. As a small child I was fascinated by Nessie. National Geographic featured Nessie several times on their weekly TV show. I was far from a skeptic as a child, and for some reason I truly believed if I ever went to Scotland I would see Nessie. I had no doubt Nessie was real. The definitive evidence for me was the “flipper” photograph. I was still quite young, and could not see how anyone would not believe after seeing a photograph of the flipper of Nessie. I was sure soon there would be photographs of the entire monster. My belief was only shaken as I grew up and no new photographs or video appeared that offered definitive proof. I also read as much as I could find about Nessie, learning sadly that Loch Ness lacks the food supply a large pack of reproducing lake monsters would need to survive. 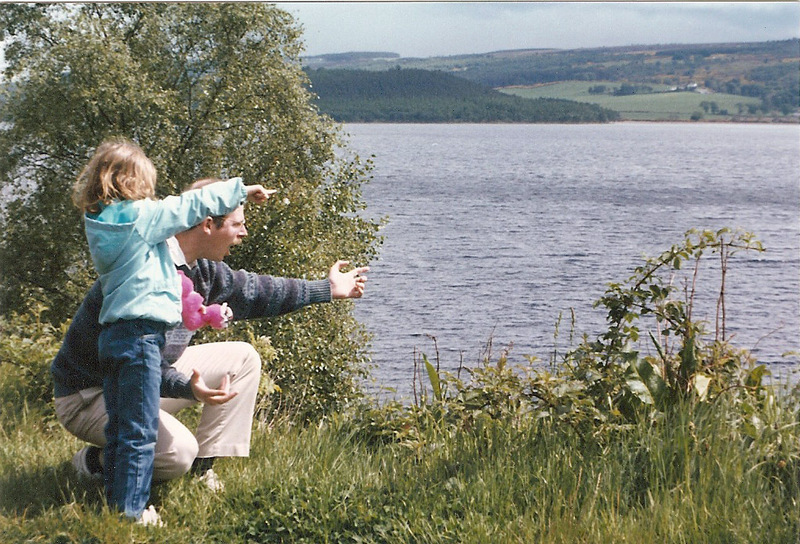 My childhood dreams of renting a home on the loch and waiting for Nessie faded away as I grew into a skeptic. After I was married my husband and I traveled to Scotland many times as his submarine was stationed there. We both fell in love with Scotland, and enjoyed travelling around the countryside when he had time off the boat. One day we found ourselves near Loch Ness. We told the innkeepers where we were staying that we were going to go to Loch Ness and look for Nessie. They were less than enthused with our plans, suggesting other far more beautiful lochs in the area to visit. The locals we found were not very supportive of their local monster. It didn’t matter, I was going to finally look for Nessie. My young daughter Evelyn was with us, and she agreed to help me look for the elusive lake monster. In fact, I had already purchased a Nessie doll for her, in bright pink. Nessie dolls come in many colors. We were driving on the Northeast side of the Loch when I looked over and saw something odd through the brush and trees. It seemed to be a hump. Even my skeptic heart started racing, and I yelled for my husband to “pull over!” I jumped out of the small rented car (called a Panda much to my daughter’s delight) and ran slightly down a hill through the underbrush and took this photograph. Nessie, I finally got to see her! 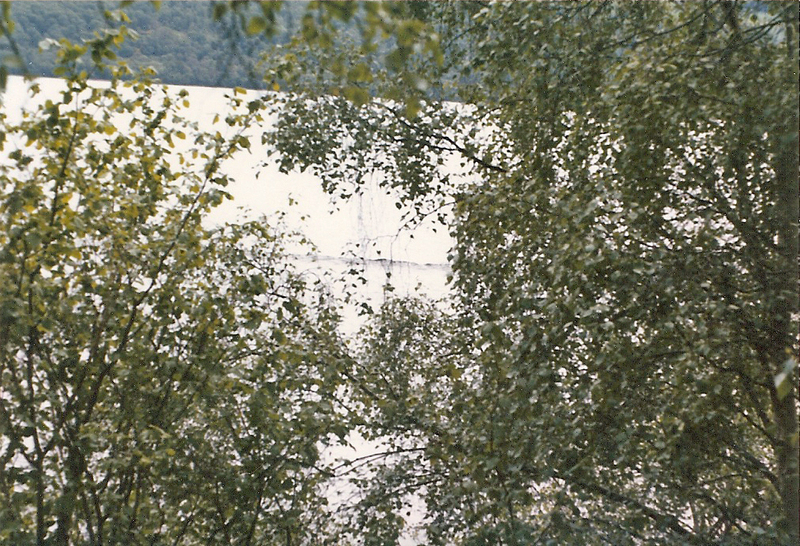 The “hump” moved slowly along the loch and then submerged. I looked around to see if there were any boats around, but the loch was still except for this lone hump. This was before the digital age, so I had to wait until we returned to the US to process the photograph. My guess is that is shows a rogue wave or some sort. We went to a local Nessie museum, and I had to laugh as some of the photographs there looked much like the hump I had seen. They were of course, genuine. Mine is also a genuine photograph. I genuinely am not sure what is it but I’m also genuinely sure it’s not a large lake monster. 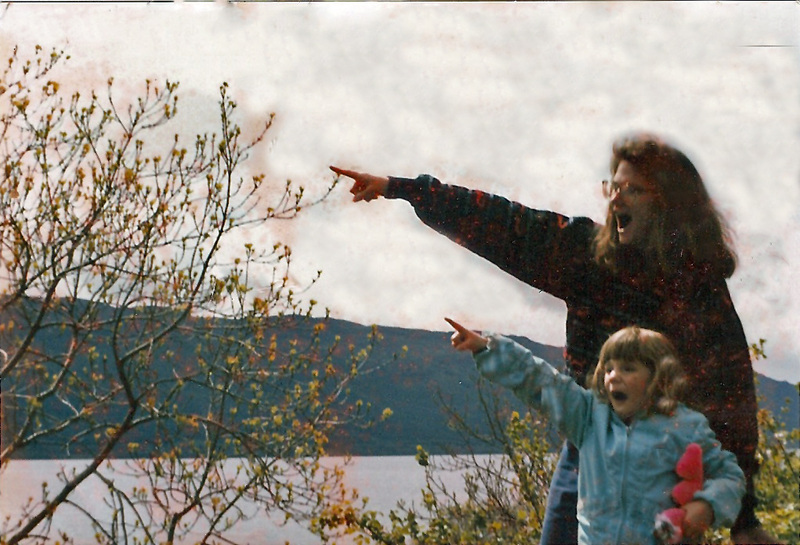 My family decided we needed even more Nessie sighting photographs, so we posed for these. (They are very old, so not in the best condition). Nessie remains my favorite monster, though I do hope if she is ever proven real she truly is pink. Nessie also wears a mop cap….